Congratulations to George Danzer, Winner of Event 8: AU$5,000 8-Game Mixed (AU$84,600)! The Event 8: AU$5,000 8-Game Mixed has come to a conclusion with George Danzer joining elite company in winning his third bracelet of the year after overcoming a field of 48 players to take home the AU$84,600 first prize. Three days ago some of the best mixed-game players in poker took a seat in the final mixed-game event of the series to create a prizepool of AU$225,600. Day 1 would play down to roughly half the field, as Day 2 would be a long affair that saw players make a run at reaching the final table. With the top six reaching the money, Brian Rast became the unfortunate bubble boy when his couldn't connect against the to leave the final six returning today. Ismael Bojang would fall in fourth two hands later after getting caught in a monster pot against both Duhamel and Clements in 2-7 triple draw, then a crippled Duhamel fell next in third as Danzer made an eight-six. 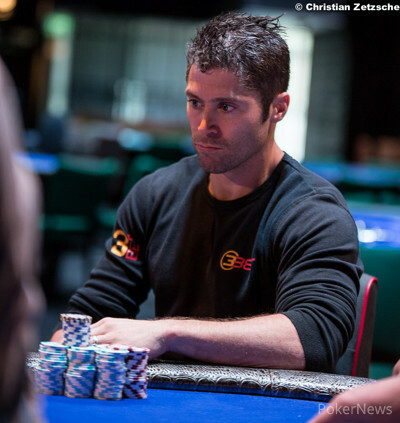 Without doubt, Danzer is having an amazing poker year. With his victory in this event, he takes a 116.8-point lead (923.5 total points) into the final qualifying events of the WSOP Player of the Year race. Most importantly is that Danzer now collects his third WSOP bracelet of the year to put him in exclusive company that includes Jeff Lisandro (2009), Phil Ivey (2002), Phil Hellmuth (1993), Ted Forrest (1993), and Puggy Pearson (1973) as the only other players to achieve this feat. 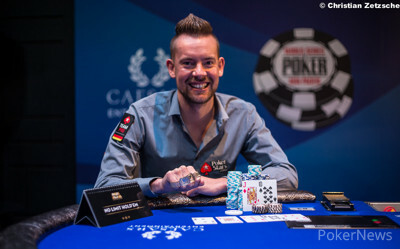 Congratulations to Germany's George Danzer, who not only joins the record books in equaling the most bracelets won in a single year, but also has himself in prime position to claim WSOP Player of the Year honors. With two events still remaining — the AU$10,000 Main Event and the AU$25,000 High Roller — there isn't anyone counting Danzer out of claiming gold for the fourth time in 2014. From the button, Scott Clements moved all in for 52,000 and George Danzer called from the big blind. With Clements in the slight lead, the flop gave Danzer the advantage as the on the turn eliminated Clements' backdoor outs. The dealer burned and turned the on the river to see Clements fall in 2nd place for an AU$52,340 payday as Danzer is crowned the Event 8: AU$5,000 8-Game Mixed Champion and three-time WSOP bracelet winner - all in 2014! George Danzer raised to 24,000 and Scott Clements drew three cards to Danzer's two. Danzer bet 12,000 and Clements called drawing two to Danzer's one. A bet from Danzer was enough to produce a fold from Clements. George Danzer raised the button to 24,000 and Scott Clements raised to 36,000. Danzer called, and then called 12,000 on the flop before he took the lead with a bet of 24,000 on the turn. The river landed the and Clements checked, Danzer bet and Clements called only to muck at the sight of Danzer's . George Danzer min-raised the button and Scott Clements called as both players checked the flop. Clements led for 24,000 when the turn landed the and Danzer called as the completed the board on the river. Clements bet 45,000 and Danzer raised to 130,000 to force Clements to fold while flashing his . George Danzer opened the button to 10,000 and Scott Clements three-bet the big blind to 30,000. Danzer called as the flop landed and Clements bet out 30,000. Danzer called, and when Clements checked the on the turn, Danzer fired out 60,000 which was enough to win the pot. George Danzer raised the button and Scott Clements called in the big blind to see a flop with both players checking. Clements led out for 20,000 when the turn landed the and Danzer called as that action was repeated when the river landed the . Clements tabled his and scooped the pot with his two different full houses. 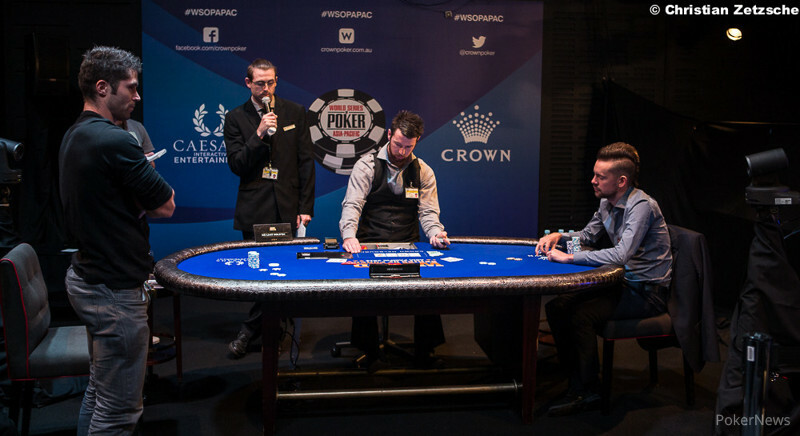 George Danzer opened to 12,000 and Scott Clements called before both players checked the flop as the landed on the turn and Clements bet out 18,000. Danzer made the call as both players checked the on the river. Clements tabled his and Danzer mucked.